Future gain in computing performance will not stem from increased clock rates, but from even more cores in a processor. Since automatic parallelization is still limited to easily parallelizable sections of the code, most applications will soon have to support parallelism explicitly. 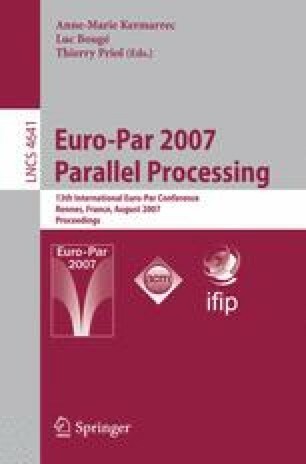 The Multi-Core Standard Template Library (MCSTL) simplifies parallelization by providing efficient parallel implementations of the algorithms in the C++ Standard Template Library. Thus, simple recompilation will provide partial parallelization of applications that make consistent use of the STL. We present performance measurements on several architectures. For example, our sorter achieves a speedup of 21 on an 8-core 32-thread SUN T1. This is the full and updated version of a Poster Extended Abstract presented at PPoPP 2007 ?.